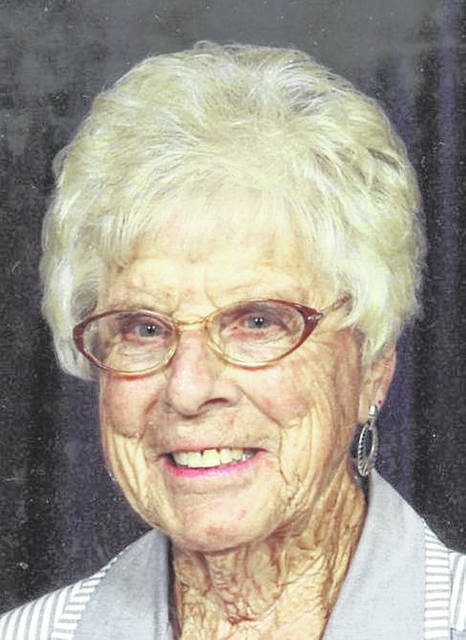 LIMA — W. Irene Lackey is celebrating her 90th birthday with an open house from 1-3 p.m. Sept. 16 at Forest Park Church fellowship hall. Please omit gifts. She was born Sept. 11, 1928, in Allen County, to Ivan and Lois Bowersock. On Dec. 6, 1947, she married Howard. She has four children, Debra K. (Craig) Workman, of Lima, Denise E. (Donald) Bush, of Lima, Gary H. (Sharon) Lackey, of Erie, Pennsylvania, and Chrisa I. (Kevin) McGhee, of Lima. She has nine grandchildren, 16 great-grandchildren and a great-great-grandchild. She worked as a bus driver for 20 years at Bath schools. She spent 23 winters in Texas. She enjoys square dancing, having belonged to the Silver Spurs Square Dance Club. She is a 60-year member of Forest Park Church.